Would like to stay warm and toasty on a dive and stay dry? Unlike a wetsuit, a dry suit seals you off from the outside water and that keeps you warm! Even in surprisingly cold water. Dry suits let you dive more challenging dive sites, and extend your dive season. When you have the right cold water scuba diving attire, you can stand up to the elements and take advantage of the generally better visibility offered by winter months, especially at inland dive sites such as quarries and lakes. As a dry suit diver, you’re equipped to scuba dive some of the world’s incredible dive sites in the world’s cooler regions that are best enjoyed in a dry suit even in their warmer months. Many technical divers wear dry suits on almost every dive due to the length of the time spent underwater. 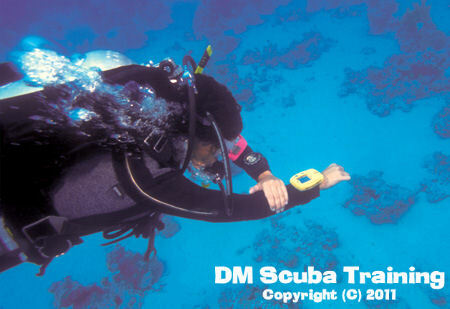 The longer the diver is in the water, the more thermal protection is required. 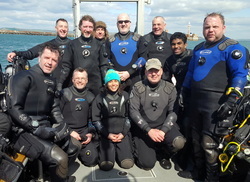 If technical diving is something that interests you, check out our TEC 40 entry level Technical diving course. 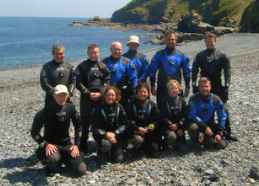 One day completing two dives plus one evening in the pool.A dry suit orientation will be held in our pool and the Open Water dives will normally held at an inland dive site around Bristol.